Making a presentation and submitting a class report is an important part of your curriculum, right? Apart from exams and class tests, this is how professors gauge your understanding of the subject. 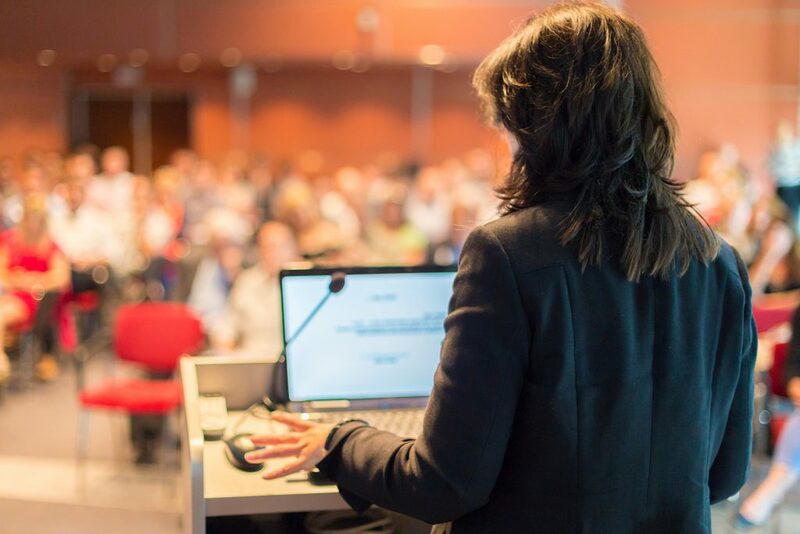 A good project presentation depends on two aspects – content and delivery. Instead, it focuses on the often boring task of research. It’s about how you can use technology to make this boring research interesting. It will help you create a project filled with unique statistics and insights. And a good project / presentation can make you stand head and shoulders above your peers. The professor has assigned four groups, including one which I am a part of, to present on Artificial Intelligence. So we launch Google and type ‘artificial intelligence’. Instantly, all four groups encounter the same challenges. Challenge 1: The search results for us all are mostly the same. They may vary slightly based on our browsing history and demographics. But they’re not different enough to make our projects exclusive. 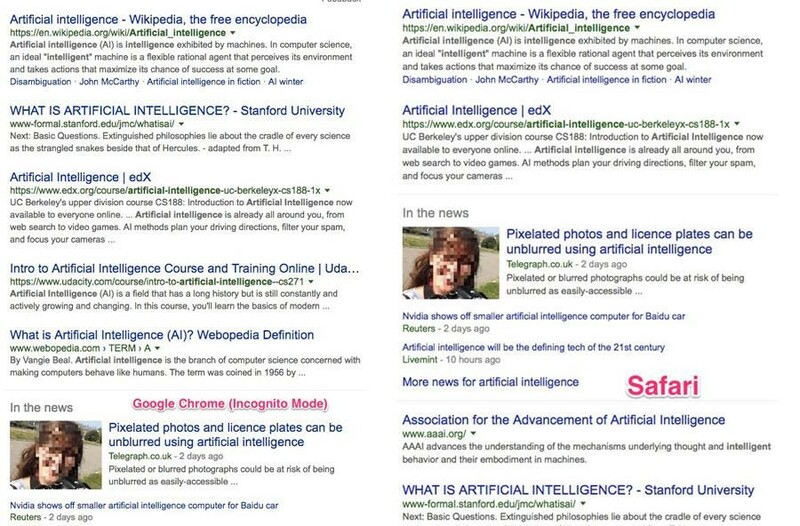 When I searched ‘artificial intelligence’ separately in Chrome’s Incognito Mode and Safari, these results showed up. Challenge 2: Google autosuggest shares popularly used key phrases. This is helpful for generic information. But it poses a challenge when my group wants to create an in-depth report. 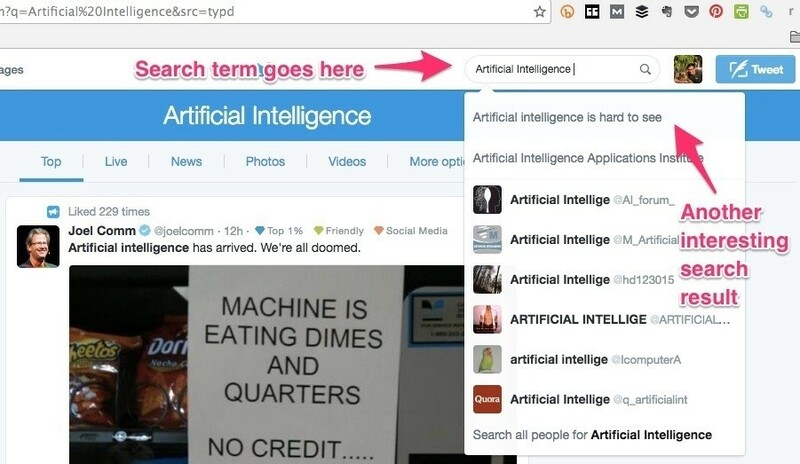 Will we find unique when we search for ‘artificial intelligence PPT’? No. Because the other groups see the same key phrases. Hence, almost certainly, they have the same information too. But many free tools offer vast sources of untapped information which will make you a research ninja. This, in turn, gives you a heads-up on your peers while everyone is busy looking for clues in the same places while playing treasure hunt. Streamlining – Retaining only the matter which fits with the theme of your topic and eliminating everything else. Google is the world’s most preferred search engine for generic information. Google Scholar, on the other hand, is a free search engine which includes peer-reviewed academic journals, books, conference papers, dissertations, abstracts, technical reports and more. It is a freely accessible search engine that indexes scholarly literature across an array of publishing formats and disciplines. These results don’t normally show up in Google. 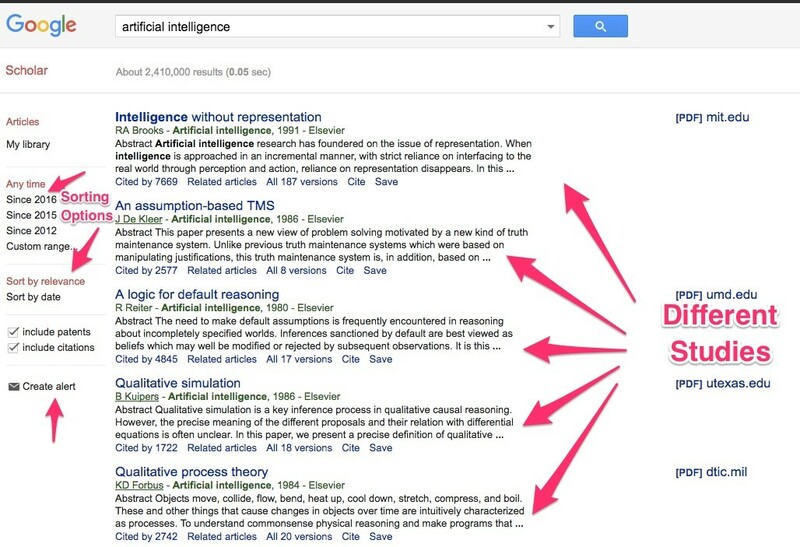 When I search for ‘artificial intelligence’ in Google Scholar (http://scholar.google.com), here is what shows up. Cool, right? As you can see, articles and studies can be sorted by date, the number of times they were cited, and so on. You can also have these studies delivered to your email inbox through the ‘Create Alert’ feature. Set the keyword you want. As reports get published, they will be emailed to you with a heading and brief summary (meta description). You can then decide whether those studies are relevant to your subject. Also, check out the autosuggest results at the bottom of the page. While other groups will browse through key phrases like ‘artificial intelligence ppt’ or ‘artificial intelligence movie’, our group will explore topics like ‘artificial intelligence modern approach’, artificial intelligence cognitive psychology’ and ‘artificial intelligence robotics’. Use these studies to enhance your report’s quality. Here are insider hacks on how you can use Google Scholar better. We find it difficult to understand Twitter. However, it is the most powerful social media platform in the world without a doubt (and will remain like that for many years). You don’t need an account to access Twitter. Simply type your keyword in the search box. Here’s what came up when I searched for artificial intelligence. The results which show up here are the latest news and opinions. They might not immediately show up in Google Search, or might show up under different keywords. Thus, you can keep the content of your report relevant and up to date with the latest happenings from around the world. Interestingly, I also see autosuggest results here. When I click on the key phrase ‘artificial intelligence is hard to see’ for instance, a recently published, popular article shows up. Alongside reading it, I can visit the author’s profile, and be directed to her Twitter account. There I find posts she has shared about AI… food for thought for our group project. Twitter doesn’t just give me results according to my expertise or knowledge. It can help me discover insights into expert opinions in the field. I don’t have to try a hundred different keyword combinations to find two interesting articles. Two key phrases have led me to a hundred interesting posts. As a result, I cut time spent searching on Google by 80 percent. Flipboard is my favorite online magazine. Content from social networks, publishers, online sources and photo sharing sites is accessible in one app. It presents this content in magazine format, which you can ‘flip’ through – hence the name. Once you create a Flipboard account, type your key phrase in the search box. You can either click on the term or click More Results to get a wider array of topics on the subject. So, our group has now collected enough information. But if we start working on the project immediately, the result will be a hodgepodge with scattered and unorganized matter. So, we must first complete two more steps – collation and streamlining. I research for content at different times – while traveling or while chilling, in the college library, or in the classroom with my teammates. I will use my phone and my laptop. I might come across 3 interesting articles when I am pressed for time. Obviously, I cannot read them all at once. Inserting the links of articles I want to read or use in a draft email to self is an option. But it’s cumbersome. How many emails will I track? How many new documents will I make? Why can’t it be simpler? Well, here are two options to simplify our experience. This nifty smartphone app and browser extension lets you save articles to read later. It also eliminates clutter from the article to allow you to read the text without distraction. Once you create an account, articles you save will be synced across all devices you access the account from. So you don’t have to worry about how you will access articles you found on your smartphone through your laptop. The best part? You can read the saved articles offline on your smartphone. So every interesting article about AI which I want to read again (or read later) can be saved on this app and accessed across all my devices seamlessly. Sometimes, you like just one part (a quote or statistic) of an article. The remaining is either irrelevant or repeated. You don’t want to save the complete article. But saving that quote on your smartphone, and typing it again on your laptop is cumbersome. Okay, you can paste the quote in an email and save it as a draft. This draft can be accessed from your laptop and phone. But copying the quote, opening your email app, loading the draft email and pasting it – it’s lengthy and boring. Where is the fun in technology? The answer lies in another terrific app called Evernote. This freemium app is designed for taking notes, organizing and archiving. You can create a notebook for your specific subject (AI in our case), and paste important notes in it. You can also jot down random thoughts about the subject and save them. These notes can be accessed if you download the Evernote app on your laptop and smartphone. So, you can seamlessly access notes on both devices. Just 1 thing. You can access the free version of Evernote on two devices only. It could be one computer, and one smartphone or a tab, or two computers. But I’m sure you can work with that. After all, how many devices will you use for research? Finally, we come to the important aspect of streamlining. With so much information at your fingertips, it’s easy to be tempted to add everything in the presentation or project. But that will prove counterproductive. It will leave the reader or viewer (your professor and / or classmates) confused. And you don’t want to do that. I’ve made the mistake many times. The result is not good. So how do you decide what to keep and what to remove? The answer: Focus on a throughline. According to TED curator Chris Anderson, “a throughline is a narrative that connects each element together.” A throughline is the core idea of your project. Think of a tree. A throughline is the tree trunk, while the branches, offshoots, and leaves are the ideas and points that support it. Is this in sync with the topic? Does it substantiate the topic? Is it important for my audience to know about it? Add the point only if the answer to all three questions is an emphatic “Yes”. This will ensure that you don’t burden the audience with needless facts. It also gives you bandwidth to discuss the points you included in greater detail. All these lead to a stellar, unique, and insightful project. Preparing a presentation or report becomes a breeze when your content is substantial. You can master this art with ease. As mentioned above, it will create a positive impression in your professor’s mind. But it also increases your respect in your peers’ eyes. Research is boring now. It doesn’t have to be so always. In fact, it can become the most exciting part of your project. Just carry out the few simple steps mentioned above. Then, you can find unique content, not just for your project topics, but your assignments, examinations, and subjects too. In turn, that increases your chances of learning and scoring better. Isn’t that what you want to achieve in college? Vishal is the founder of Aryatra, a venture which helps individuals improve their productivity and live more fulfilled lives. 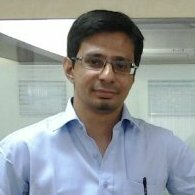 He also is a digital marketing consultant helping businesses generate revenue from their online presence.